If one distillery can be claimed as the home of the Japanese whisky scene, then Yamazaki Distillery is the natural heir to that crown. It was, after all, the first operating whisky distillery in Japan and progenitor of the thriving world-class industry that has blossomed in the 95 years since. Founded in 1923 by Shinjiro Torii, the distillery is located in the town of Yamazaki, a sleepy place nestled halfway between Kyoto and Osaka. Once you alight at the station, the distillery is a short walk away through the quiet streets, passing by traditional houses and shrines. From the outside, the distillery is not that much to look at, large drab brown buildings that blend in well with the surrounding forested hills but do not inspire any particular romantic notions. The old stills dotted around the leafy grounds are a nice touch though. The location is important however, as the distillery draws its water from the confluence of three local rivers, the Katsura, Uji and Kojo, the soft waters of which Yamazaki claims helps them make a refined spirit. In comparison to the exterior, the inside of the visitors centre is a beautiful and interesting place to be, with timbered interiors, a cutaway still and washback, and shelving supporting row upon row of bottles with hand-typed labels containing various agings of spirit made by Yamazaki and other distilleries from around the world. There is also an interesting whisky walk with information about the distillery. Guided tours can be booked online, with a standard and a slightly longer special tour available. If you want to do the special tour you need to book early (which we didn’t) as it only runs on weekends and has limited spots. The tours are conducted in Japanese, but an audio guide is available if, like us, your Japanese only extends to a few much-overused phrases. The standard tour, conducted on our visit by the youthful Nishiwaki and assisted by the older Tanaka, guides guests through the history and production processes at Yamazaki, taking in the mash room, the still house and the bond stores. A delicious smell of whisky permeates the facility, changing in nature depending on your location. For example, the still room with its 12 stills (there are another four somewhere else too) smells of fresh apples and lemons, while the bond store is dark and rich with the years of aging spirit. As we walked back from the bond store we passed by a torii gate, which Tanaka amiably commented to me was over 1000 years old, which makes the distillery’s only 95 years look rather pale in comparison, a reminder that the Japanese whisky industry is still only a relatively young thing in an ancient culture. The tours conclude in the tasting room, an open, airy space where guests sit at wooden benches to be educated in the art of drinking Yamazaki. 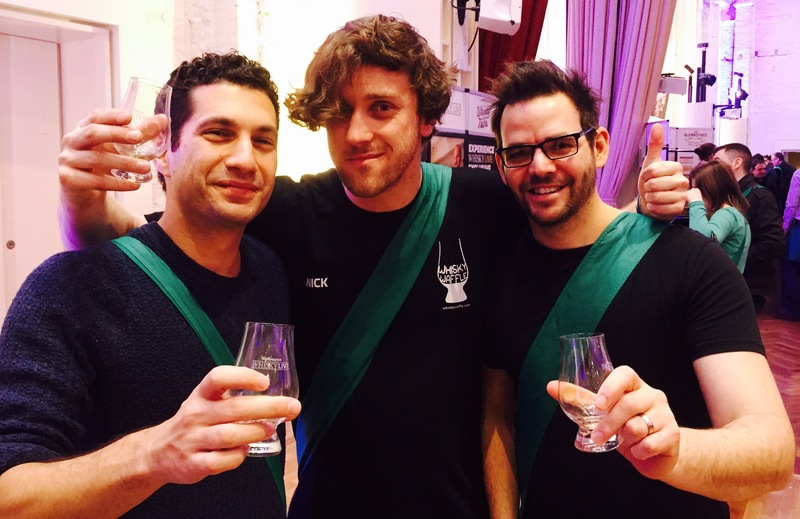 Four glasses of whisky were presented, a White Oak Cask, a Wine Cask and two glasses of the 12 Year Old, one for sampling and the other for doing as you pleased with (as part of the tasting you had the opportunity to make a whisky highball. I declined). The White Oak Cask and Wine Cask were presented as examples of Yamazaki’s practice of crafting a base palate of different styles that are then married together to create a final release, such as the 12 Year Old. The distillery claims that this method allows them to create products that have a subtlety and nuance of flavour similar to a blended Scotch, but are comprised of whiskies that are made entirely on site at Yamazaki. The two spirits were indeed quite different, with the light White Oak Cask evoking honey, lemon, green apple and rose on the nose, while the dark-gold Wine Cask gave notes of caramel, marshmallow, wine gums, oak, salt, red apple and apricot. On the palate the White Oak had leather, dark honey, polished oak, beeswax, malt and a sharp, herbal finish, while the Wine cask had a dark, rich, dry fruitiness, with red apples, brown pear, sour plum and salted caramel. A small selection of nibblies are also provided with the tasting, my favourite being the smoked nuts, which are smoked over chips made from old barrels. 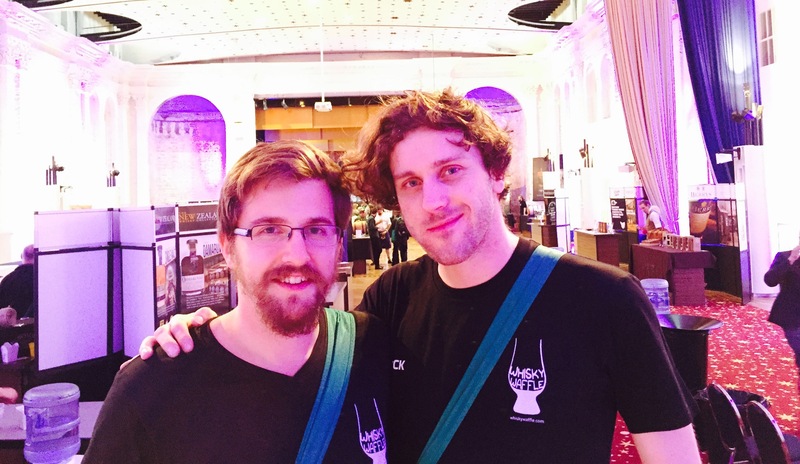 There are a number of friendly attendants on hand to guide you through the tasting and make sure you know what’s what. At the completion of the tasting you are led back to the visitor centre where you have the opportunity to visit the gift shop (which has a distinct lack of Japanese whisky apart from the Chita single grain) or indulge in some further tastings such as older bottlings or distillery exclusives (I may have lashed out on the 25 Year Old). The atmosphere at Yamazaki was relaxed and Nishiwaki delivered a crisp and professional tour that was full of interesting and informative facts… at least I presume so seeing as I couldn’t understand a word of it. The audio guide was solid though and it was easy to keep up with the tour. 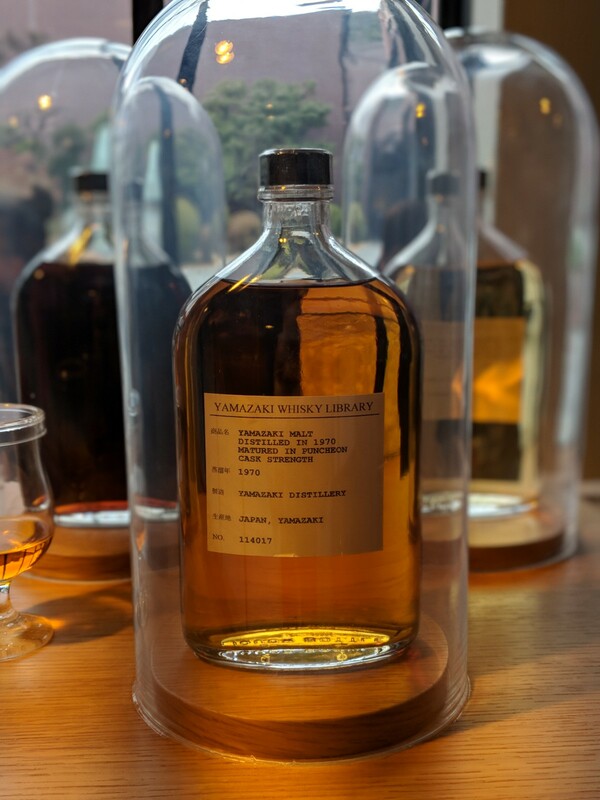 If you want to get a grasp on the history and character of Japanese whisky, then Yamazaki is well worth your time to visit if you happen to be in the area. When Jacob Beam first distilled some corn along the banks of Dicks River in Kentucky circa 1795, he probably cranked out some pretty rough and ready stuff. Well, it seems that over the years not much has changed. Jim Beam has its origins as a small family business plying their trade in the newly formed state of Kentucky, but since then the family has grown just a tad. 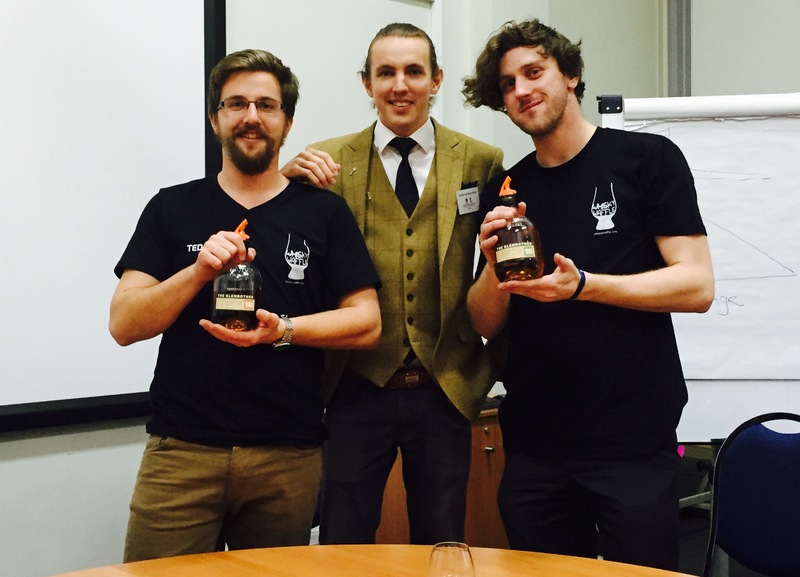 In 2014 Jim Beam was involved in a shotgun wedding which resulted in it picking up the double-barrel name (geddit?) Beam-Suntory. And all this multi-national success only came at the low, low price of its soul. Well, it seemed like a good deal at the time. 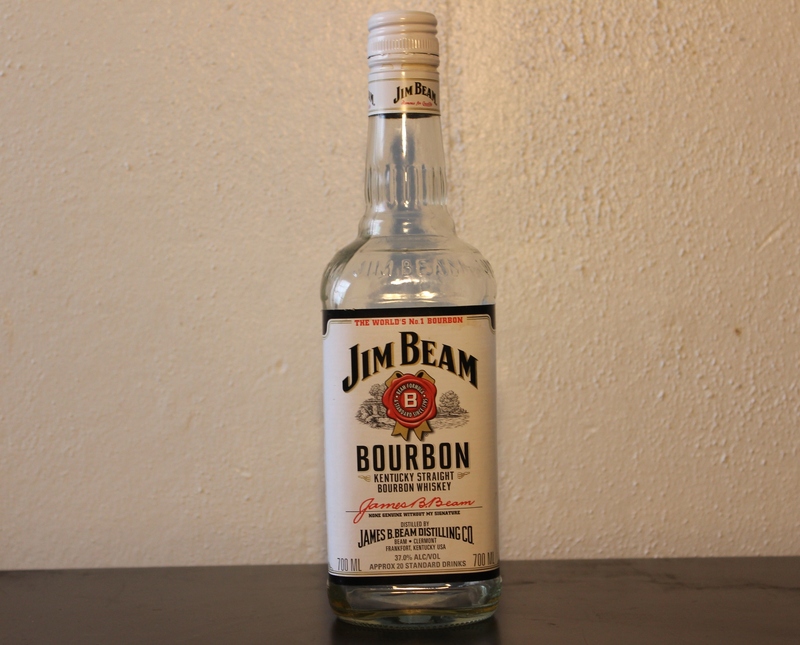 Not that the brand was particularly struggling it must be said, as Jim Beam Kentucky Straight Bourbon is one of the most recognisable and consumed spirits on the face of the planet. Most often you can observe it in its natural environment being mixed with coke, or being shotted by teens trying to be tough (and then regretting it later). 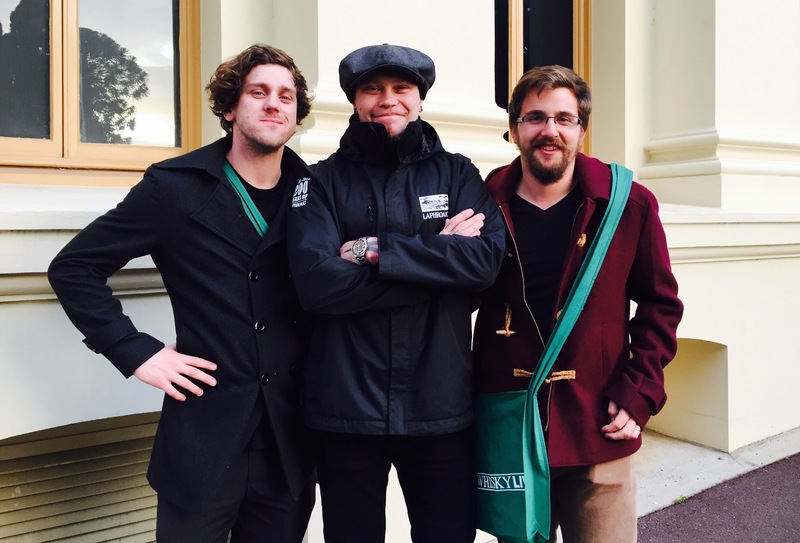 The boys from Whisky Waffle are even tougher than that. They sipped it. Neat. On the nose the Beam is surprisingly smooth. And sweet… you could be forgiven for the thinking that it’s a liqueur. Honey, pear and confectionery notes of red frog and fairy floss (“cotton candy” in Beam’s motherland) slide across the ol’ olfactory bulbs. Overall it’s not too bad actually. But then like a Disneyland water-slide, things go down the tubes. On the palate the analogy is rather appropriate as the Beam is about as watery as the pool at the bottom of the aforementioned slide. It also tastes like quite a few people have been swimming in it before you. The quality is thin, with a hint of sour white grapes coated in a film of dish liquid. Once you’ve emerged from the murky waters, your mouth is left with the not altogether pleasant taste of ethanol, cheap Sav Blanc and tourists in Mickey Mouse swimmers. In fact, drinking bog standard Beam is a lot like a trip to Disneyland in general. It’s exciting at the start, but at the end of the day you are left feeling hot, weary, annoyed, and like your personal space has been violated by hordes of Japanese tourists (Suntory joke). 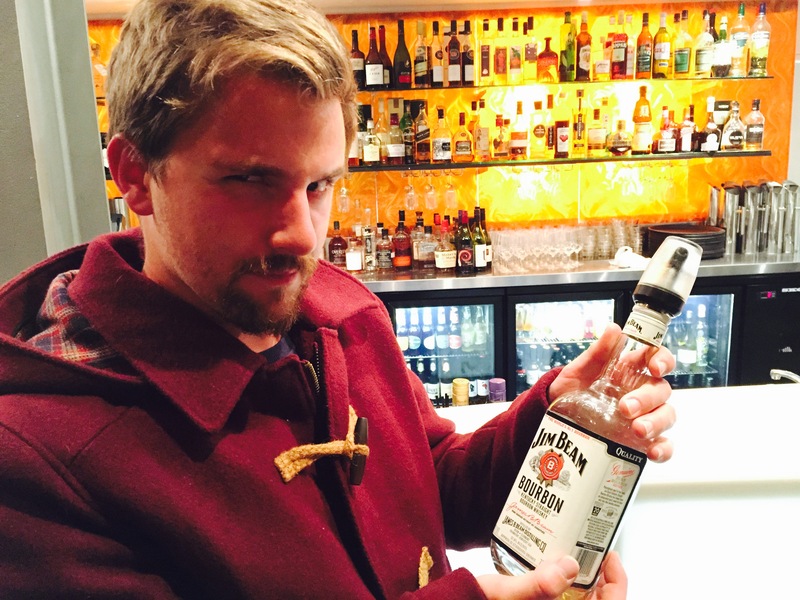 Jim Beam Kentucky Straight Bourbon is not a whiskey we would turn to regularly, but then again we’re not really doing it right. Coke anyone? Even the most diehard Scotch whisky traditionalists can no longer argue that countries other than Scotland cannot produce top quality single malts. 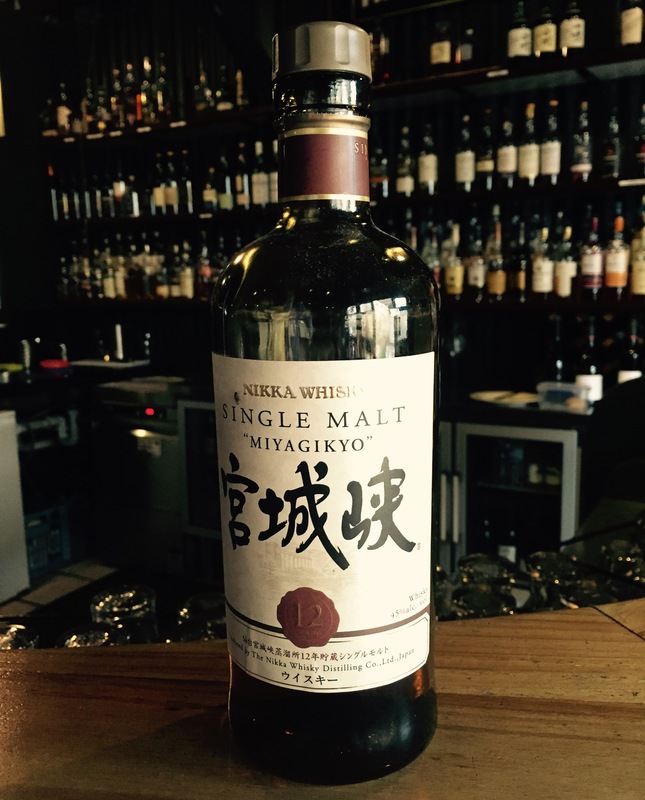 Japan has become one of the leaders in New-World whisky-making and recent awards, such as the number one spot in Jim Murray’s 2015 whisky bible, suggest that the status quo is changing – slightly – but noticeably. The establishment responsible for the latest-greatest single malt is Yamazaki, Japan’s oldest distillery. 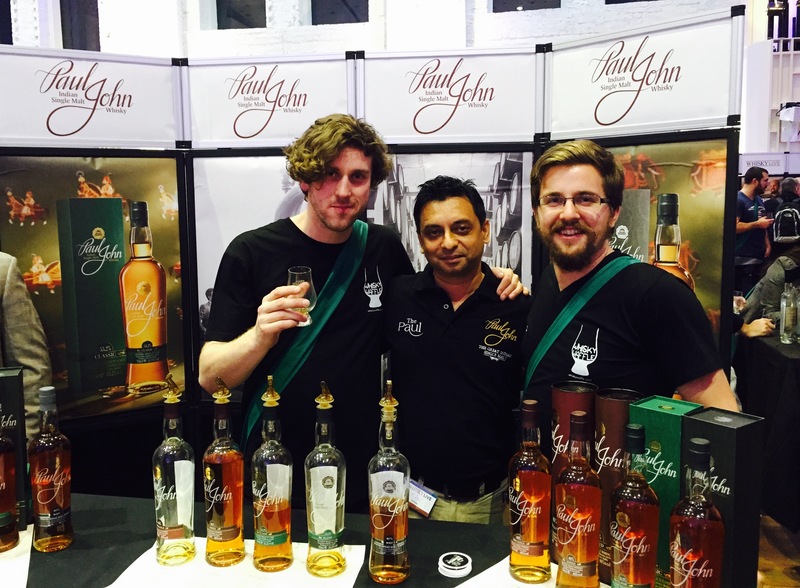 Some of their products are undoubtedly spectacular and produce flavours that will stand out in any collection. Others, however, are more content to blend into the background. The Yamazaki Distillers Reserve features younger spirits matured in ex-red wine casks married with older sherry and Japanese oak (mizunara) casks. The results are pleasant, although certainly not world-beating. Dark fruits are immediately noticeable on the nose along with some sappier floral notes. There is also a slight dollop of vanilla with subtle hints of wood shavings. It is lively across the palate – spicy and challenging and certainly not smooth. Although far from sweet, it contains notes of stewed apricots and raspberry jam, but these compete for attention with oaky tannins and form an intriguing but overall unbalanced flavour. There is a bitterness to the finish which partially hides the more pleasant fruitier notes and the overall impression is one of ‘so close, but yet so far’. The Yamazaki Distillers Reserve is far from a bad whisky. It is interesting, challenging and uniquely Japanese. 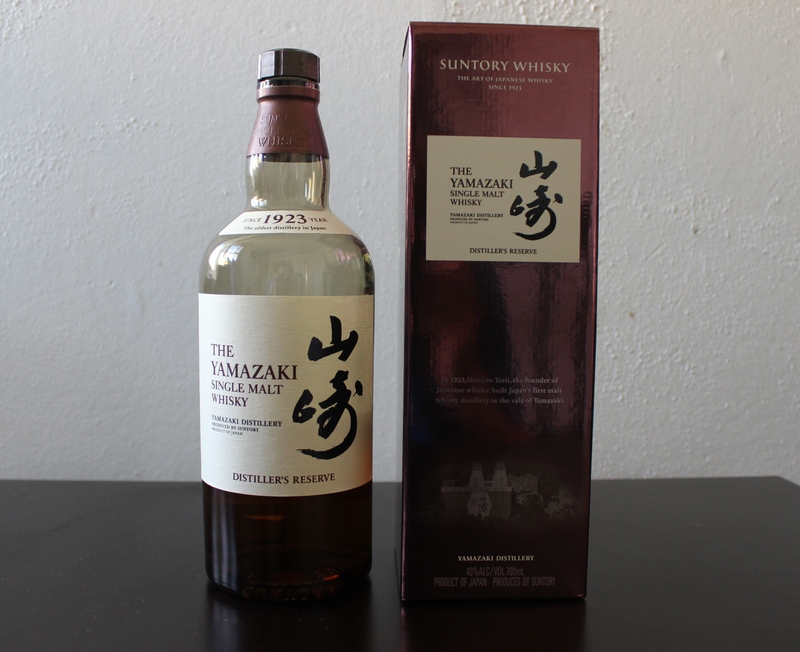 It is, however, far from Yamazaki’s best drop and certainly lacks the balance of flavours found among the distillery’s more accomplished products. If you stood at the top of Ben Nevis in the highlands of Scotland and turned your eyes eastwards, then you would probably just see quite a lot of Scotland to be honest. However, if you had truly exceptional eyesight, even better than the elf eyes of Legolas, then in the far East you may be able to see a mighty chain of islands under the rising sun (this is of course assuming that your amazing eyes can penetrate Scottish rain!). The islands of course form the ancient nation of Japan, a place of legends and gods, samurais and ninjas, geisha girls, and very strict tea parties. 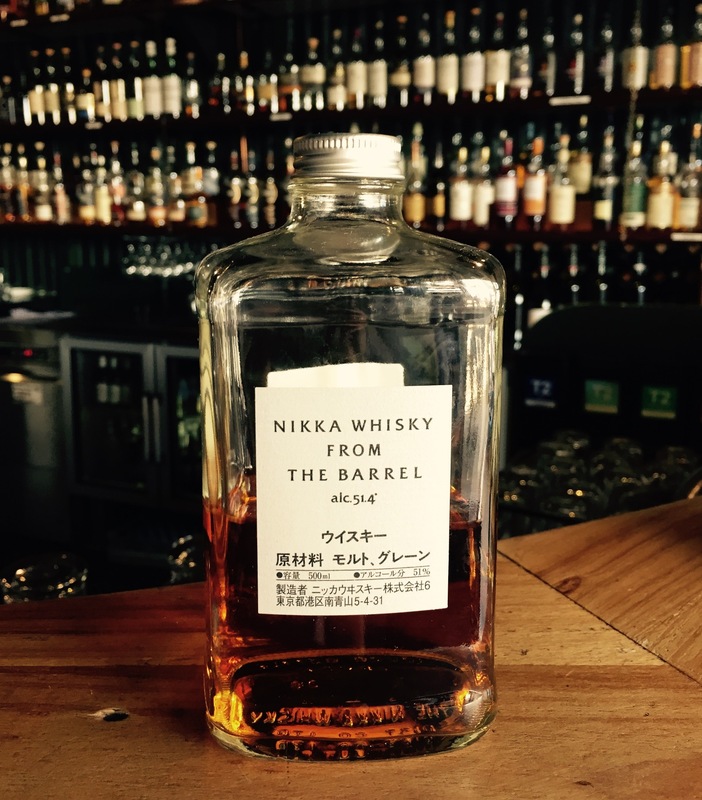 A curious thing you may not have expected to find in Japan is a fully fledged whisky industry… and yet Japan is the third largest producer of the amber drop behind Scotland and America, and is home to some of the greatest whiskies in the world. 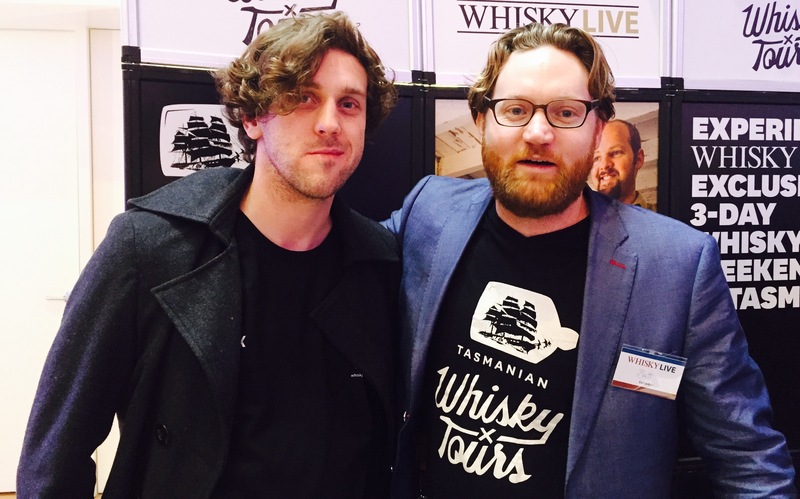 As a country, Japan has only a relatively short history of making whisky, and like Australia the modern scene has its origins in a conscious decision to start an industry. After the introduction of Scotch whisky to Japan in the late 1800’s, a primordial ooze of distillers formed, but it wasn’t until 1923 that the first serious attempt emerged with the founding of Yamazaki distillery by Shinjirro Torii. Apparently the initial releases were not favourable and so Torii hired a fellow countryman by the name of Masataka Taketsuru. Taketsuru had studied in Scotland in the early 1910’s, and after marrying Kirkintilloch girl Jessie ‘Rita’ Cowan, worked at Hazelburn distillery for several years before returning to Japan. The in-depth knowledge of whisky making Taketsuru gained in Scotland provided the crucial spark that Torii needed to make a worthy dram. Thanks to the work of Torii and Taketsuru, modern Japanese whisky shares much in common with Scotch whisky, helped by the fact that Japan has a similar climate and terrain to Scotland. Yamazaki distillery (owned by Suntory, one of the two major players in the Japanese whisky industry) is located in the outskirts of Kyoto on Japan’s main island of Honshu. The Yamazaki 12yr old was the first Japanese whisky I ever tried, and it piqued my interest in the malts of those eastern isles. The colour is a burnished gold that would be at home in a Japanese shrine. The nose is sweet and intensely fruit driven, with a strong scent of red pears backed with a light hint of mandarins. The flavour is bright, and bursts in a wave across the tongue and roof of the mouth. After an initial sweet hit, sharp tangy citrus flavours dominate the tastebuds and charge up to the back of the nose. 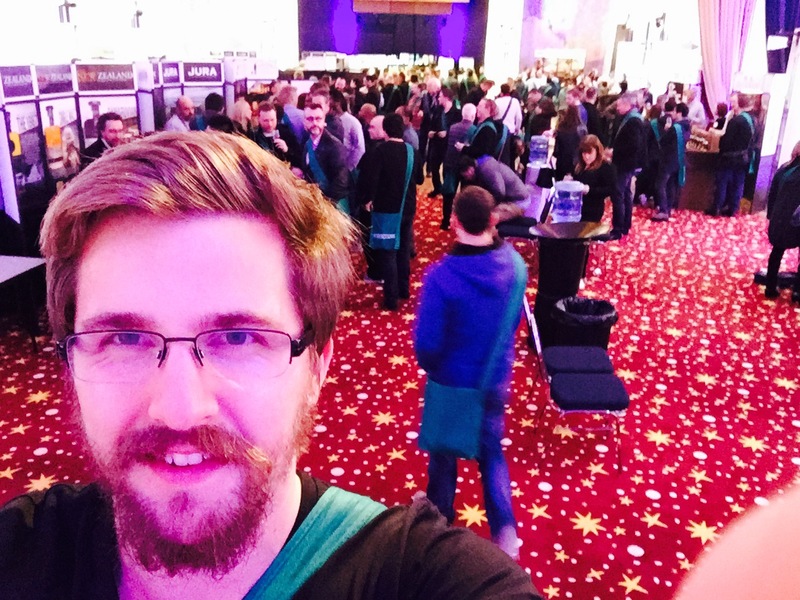 The finish is lightly dry with a slight bittersweetness, and brings to mind the feeling left after eating a green chewy lolly. 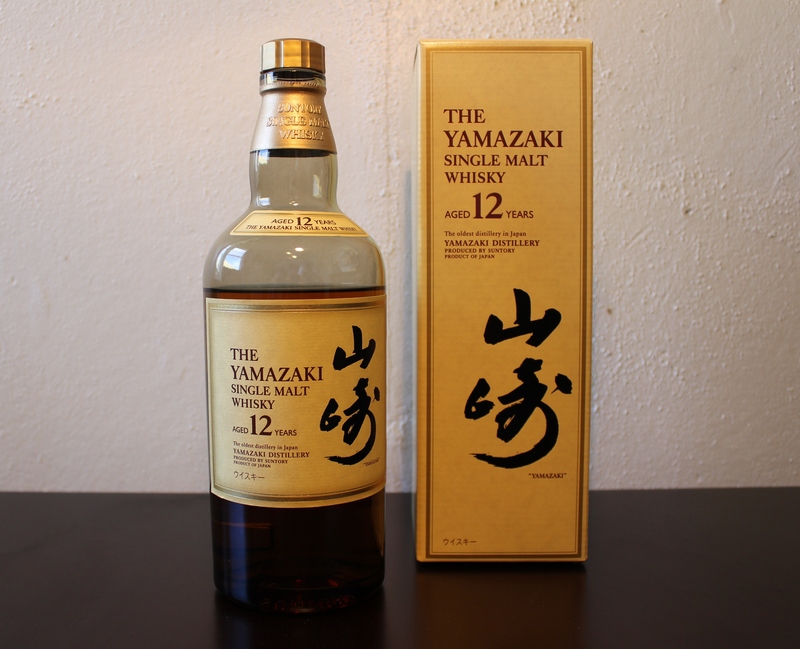 Although the bright, sharp flavours may not be to everyone’s tastes, the Yamazaki 12 is a great starting point for anyone wanting to try Japanese whisky, and not only because it comes from the oldest commercial distillery in Japan. The Yamazaki 12 provides a glimpse into the mind of a new whisky culture, one forged out of the soul of an ancient civilisation. Kampai!